At a safety car restart earlier in the race, Sophia Floersch appeared to have an incident on the run down to the slow right-hander at Lisboa, causing her to make contact with the car driven by Sho Tsuboi. Floersch’s car was launched into the air and went over the barrier and through the fencing, ending up hitting a photographer stand at enormous speed. 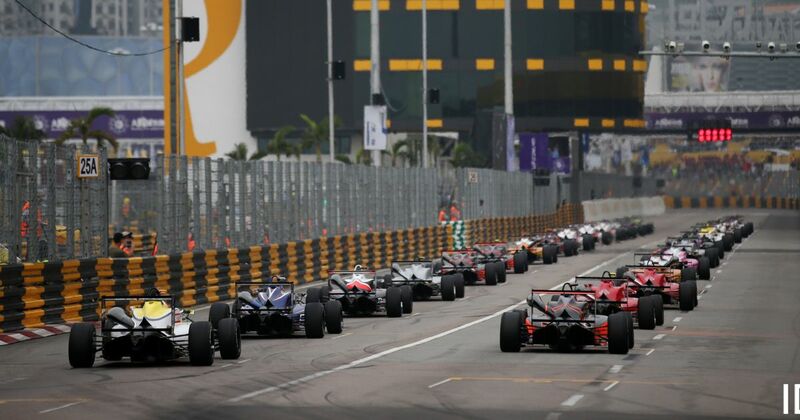 The race was red-flagged for over an hour as repairs were made to the track, while news of Floersch’s condition and that of anyone in the area remained worryingly absent. Shortly after the race eventually restarted, the FIA issued a statement that both Floersch and Tsuboi were conscious and had been transferred to a local hospital for evaluation. Two photographers and a marshal were also injured in the accident and have also been taken to hospital. All were conscious during their transit to hospital and although that doesn’t necessarily mean they’re all OK, it’s somewhat encouraging. The race was dominated from start to finish by Dan Ticktum, with Joel Eriksson second and Sacha Fenestraz third. It’s been a masterful weekend performance from Ticktum and worthy of plenty of praise but for now, thoughts are with those involved in the accident. UPDATE: A medical update on Sophia’s condition was shared by her Van Amersfoort racing team. It confirmed that she was complaining of back pain and has suffered a spinal fracture in the crash.